Consumers can download MOVii app on their smartphone from Google Play Store and register for the service. MOVii app is currently available for mobile phones with Android operating system. It will soon be available to users with iOS operating system. Registered customers can load MOVii wallet with money at MoviiRed points, Baloto points and almacenes de cadena. With money in their MOVii wallet, users can instantly buy digital content, pay utility bills, recharge mobile voice and data services and transfer money to other MOVii users anytime, anywhere. MOVii will soon introduce a prepaid Mastercard Companion Card. Customers will be able to make payments at POS machines in shop, purchase online and withdraw money at ATMs using the Mastercard Companion Card. With Movii customers can manage their money easily, safely and without paying a handling fee. 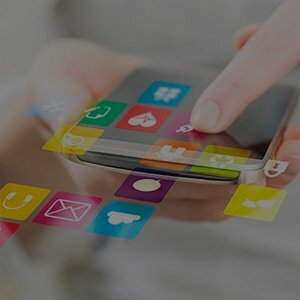 mobiquity® Money is world’s leading mobile money platform providing digital financial services to 100 million consumers globally. It delivers a host of mobile money services that transforms the way consumers save, borrow, transfer and spend money. It is designed to seamlessly integrate consumer Copyright © 2018 Comviva Technologies Ltd. All rights reserved. Comviva Public 2 touch points with a wide ecosystem of banks, billers, merchants and third-party payment systems, creating a convergence powered by interoperability. Apart from delivering convenience to consumers, the solution enables financial service providers to acquire new customers, create long-term loyalty with existing ones, and seize new revenue opportunities to increase their footprint in the market. mobiquity® Money empowers financial service providers to be agile in their markets, with complete focus on the customers. mobiquity® Money has clocked over 60 deployments in more than 45 countries. It powers three of the top 10 deployments globally and processes more than 4 billion transactions every year amounting to over $80 billion annually.